In his junior year of high school, Rocky was approached by the principal and asked to participate in a new program with a local culinary school. He was then offered a scholarship for Culinary Arts at The Finger Lakes Culinary School. During his junior and senior year, Rocky spent half the day doing academic work and the other half at culinary school. After graduation, Rocky decided to move to Florida where his brother was a chef and planning to open a new restaurant. After two years of working with his brother, Rocky was ready to move down to South Florida where he could develop his skills as a chef. He took over the helm at Antonio’s, a small Italian restaurant in Palm Beach. He stayed there for two years writing menus, developing systems and perfecting his Italian cooking skills. From there Rocky moved to a five star French restaurant called Auberge Le Grillion. It was here that Rocky started to experiment with different food combinations. “I was in an established fine dining restaurant with a receptive clientele who was thirsty for new food,’’ recalls Rocky. Within a year, Rocky put the classic restaurant back on the culinary map in South Florida. At this point Rocky was ready to recharge his creative battery by attending a symposium titled Chef’s Collaborative 2000 in San Francisco. Little did would become his turning point as a chef. After arriving in San Francisco, he could feel something special. During the symposium Rocky met award winning chef and author Joyce Goldstein. After many conversations, Rocky expressed an interest in moving to the city to work. Joyce told him to come see her if he were to move out. After putting out resumes to all the top restaurants in the city with no response, Rocky returned to Florida with mixed emotions. Upon returning home from the airport, there were three offers waiting on his answering machine…one from Joyce Goldstein of Square One. 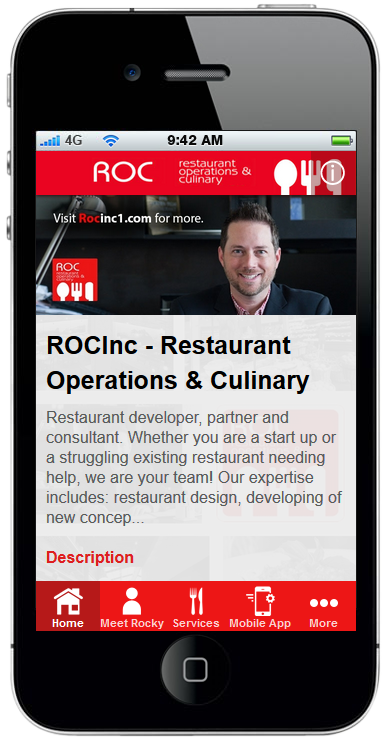 Within a month Rocky had move to San Francisco and was working as Sous Chef at Square One with Joyce. During this time, Rocky was a sponge absorbing all he could get his hands on. He spent his free time taking wine classes, working with bakers and pastry chefs, and going to wine country whenever possible. “San Francisco was my turning point as a chef, working in a city with diverse cultures. Wine country to the north, Salinas Valley growing the countries best produce to the south and great seafood on the bay. It was true bliss for any chef,” remembers Tarantello. This is where chef Rocky truly defined his cooking style and learned the essentials of starting with great product. After two years, Rocky decided to move back to Florida where he helped open the highly acclaimed Astor place. Rocky, along with Chef Johnny Vincenze, created some groundbreaking cuisine at the Astor, helping to redefine the style of Florida food. Rocky applied California techniques and used local ingredients from Cuba, South America and the Caribbean. The Astor was soon a hot spot on the beach for food and star watching. After a year and a half, Rocky was ready to take over the helm of his own kitchen again. He was offered a position as Executive Chef in Orlando at Max’s Grille in the exclusive Walt Disney planned community, Celebration. Rocky’s career took off as a chef. After two years of doing true seasonal cuisine, Rocky won every local award and received national acclaim with features in Country Living and Southern Living magazines as well as being featured on the TV Food Network. Chef Rocky has experienced much success because he is highly motivated and has the ability to recognize great opportunities. Restaurant Operations & Culinary Inc., a business that consults companies and/or individuals on all aspects of the restaurant/bar business has recently partnered with LOFT 55, a redefined American Tapas Restaurant and Casual Ultra Lounge located in the Church Street District of Downtown Orlando.